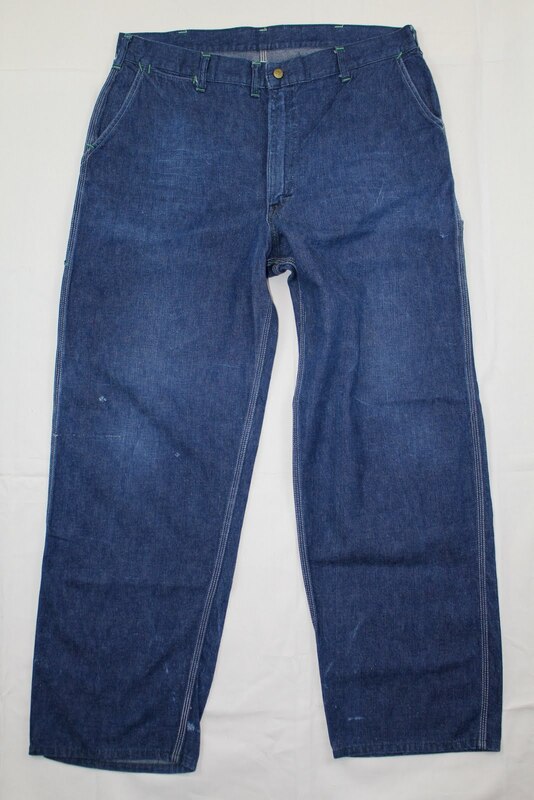 1950's Osh Kosh B'gosh Union Made Sanforized Sta-Blue indigo denim dungarees. 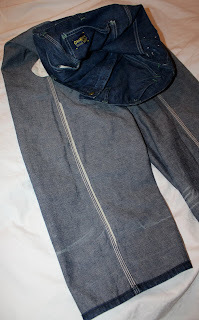 Features include GRIPPER ZIPPER, Osh Kosh embossed front snap closure, green cotton thread bartacking, trouser style front pockets with watch/coin pocket, side plier pocket, hammer loop & lined back pockets. 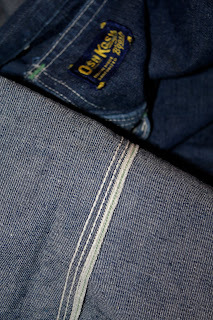 Back yoke overlap detail can be seen above the rear pockets. 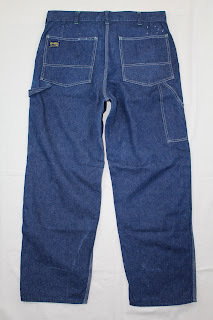 Early Big Mac dungarees also feature a similar detail. 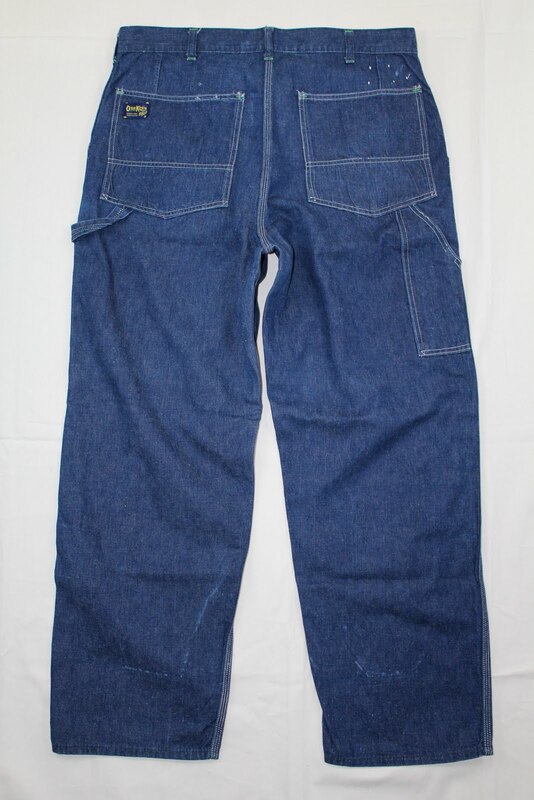 United Garment Workers of America union label & exposed green line selvedge inside of back pockets. 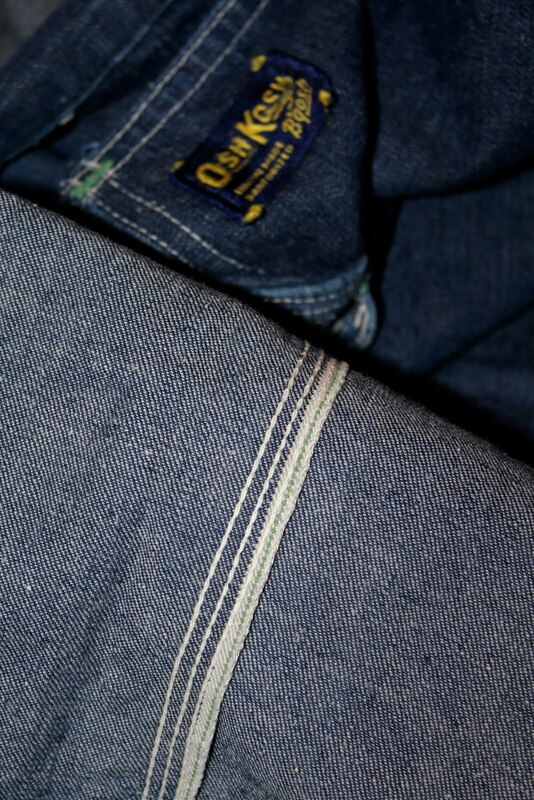 Leg seam with green line selvedge seen with pants turned inside out. 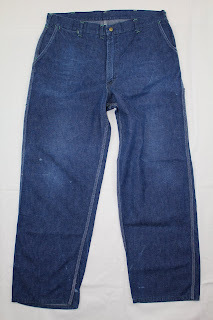 Old style Osh Kosh B'gosh UNION MADE SANFORIZED stitched rayon tag can be seen in the background.